Please consider becoming a SAGWA member and/or making a donation to the scholarship fund. Please make sure your membership is current. "Teaching Books 1-3: How do you order the sequence of pieces?" Is it important to teach all pieces and in the order they are presented in the books? How and when might you supplement the books with other repertoire? 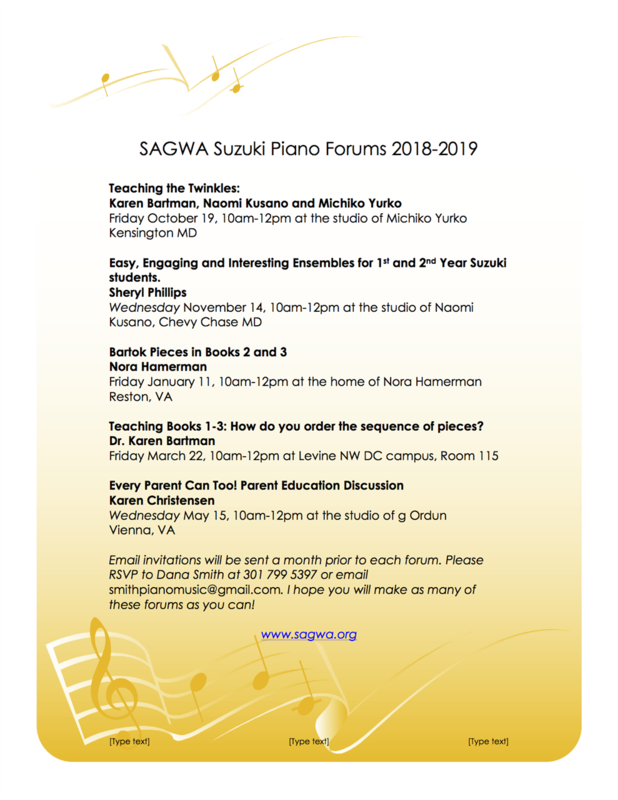 Do you think that it is important to teach all pieces in Suzuki Books 1 - 3? A portion of each membership fee is used to support our scholarship program.